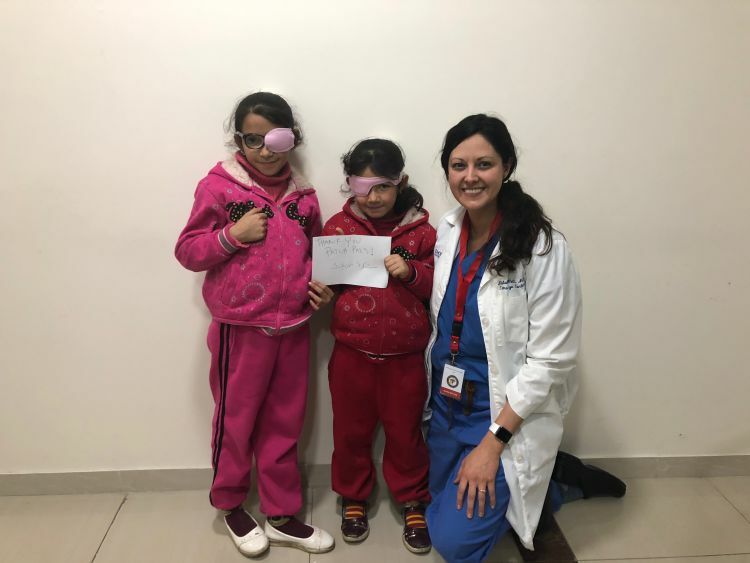 Emory ophthalmologists Natalie Weil and Soroosh Behshad take time from the Za&apos;atari vision clinic to have fun with a few young patients. 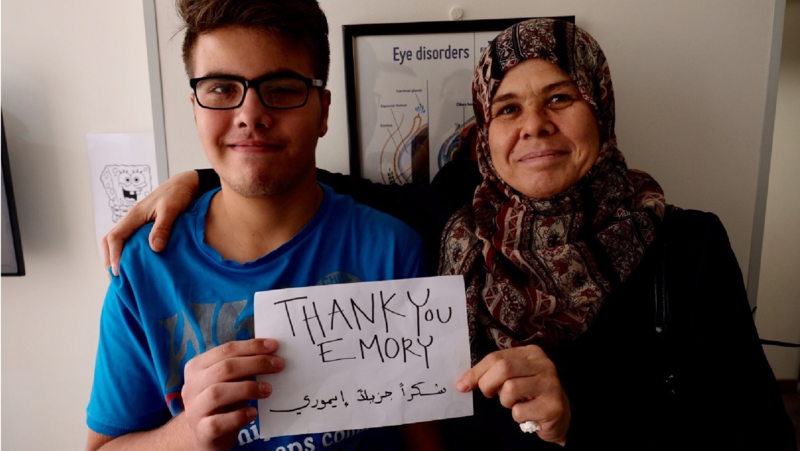 In the summer of 2016, when Emory Eye Center cornea specialist Soroosh Behshad, MD, MPH, kept seeing news stories and social media posts about the hardships and trials of Syrian refugees (particularly children), he knew he wanted to use his career as an ophthalmologist to effect a positive change not only in his own community, but internationally as well. Although the Emory faculty member had no connection to Syria, he has always been interested in refugee health care. “Unfortunately, the situation within Syria is too dangerous to travel there, so my initial involvement was based on using technology to make an impact,” he says. By August 2016, he began offering tele-ophthalmology consultations to first responders in Syria and consultation for management of difficult cases (specifically ocular trauma) to hospitals in the Syrian conflict zone. 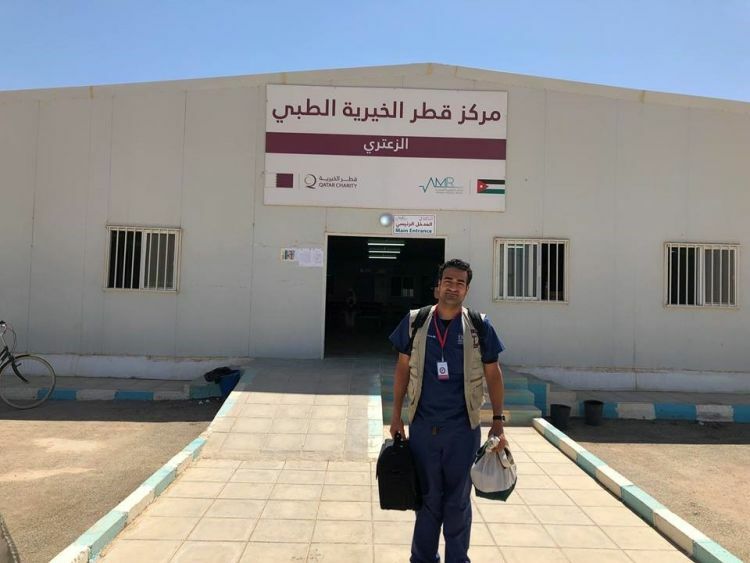 He continued to work with non-governmental organizations who were providing care to Syrian refugees residing in neighboring countries and then began collaborating with the Syrian American Medical Society (SAMS) to set up ophthalmological care for Syrian refugees living in refugee camps in Jordan. 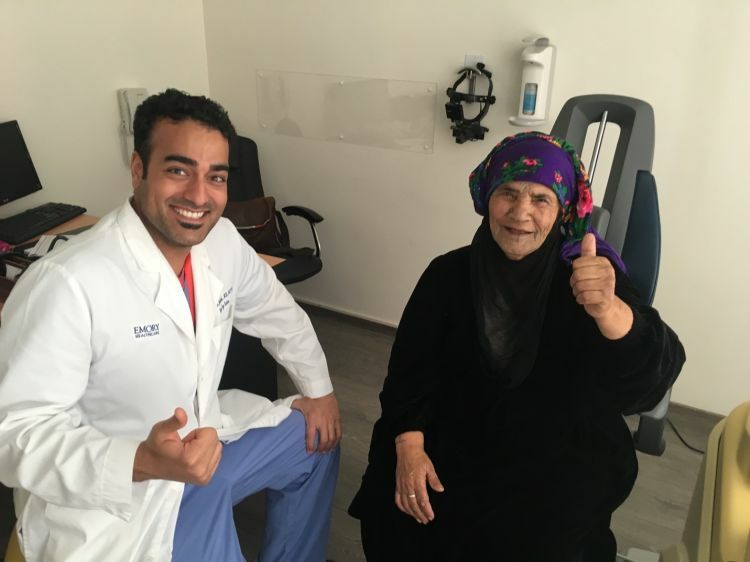 Since January 2017, he has traveled every few months to Jordan to provide surgical and clinical eye care for refugees. Initially, he started by providing cataract surgery, eye injections, laser procedures, and giving out glasses. After the first trip, Behshad noticed a large incidence of amblyopia (sometimes known as “lazy eye”) in the children. Untreated amblyopia in children can lead to irreversible blindness. Normally, the condition is diagnosed during routine vision screenings in school. Most of the refugee children were not in school because they worked to help support their families, so the blindness caused by amblyopia was being missed. 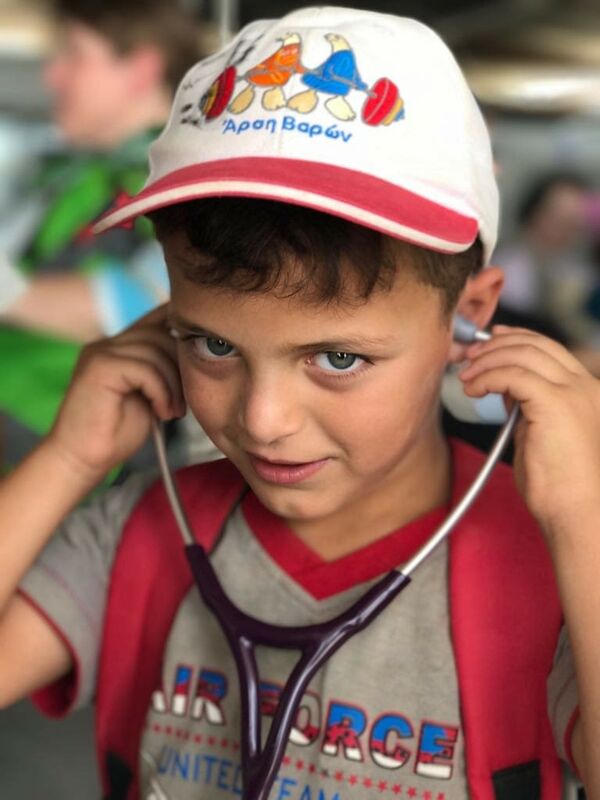 Behshad then collaborated with Emory Eye Center pediatric ophthalmologist Natalie Weil, MD, to establish a program to screen and treat pediatric amblyopia in the refugee camps. They work directly with local ophthalmologists, residents, and medical students to provide the services. Vision screenings also have identified patients with inherited retinal dystrophies, juvenile cataracts, active ophthalmic infections, congenital eye-related conditions, and strabismus. 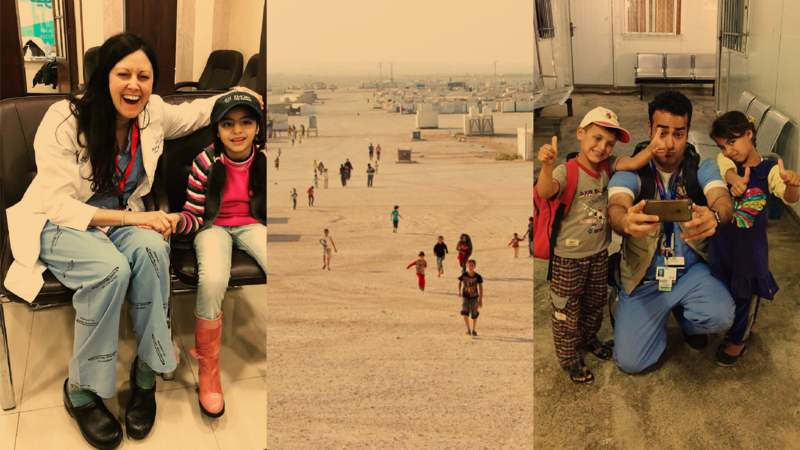 Ophthalmologist Soroosh Behshad first traveled to Za&apos;atari to treat Syrian refugees in January 2017. He returns every few months to provide eye care. 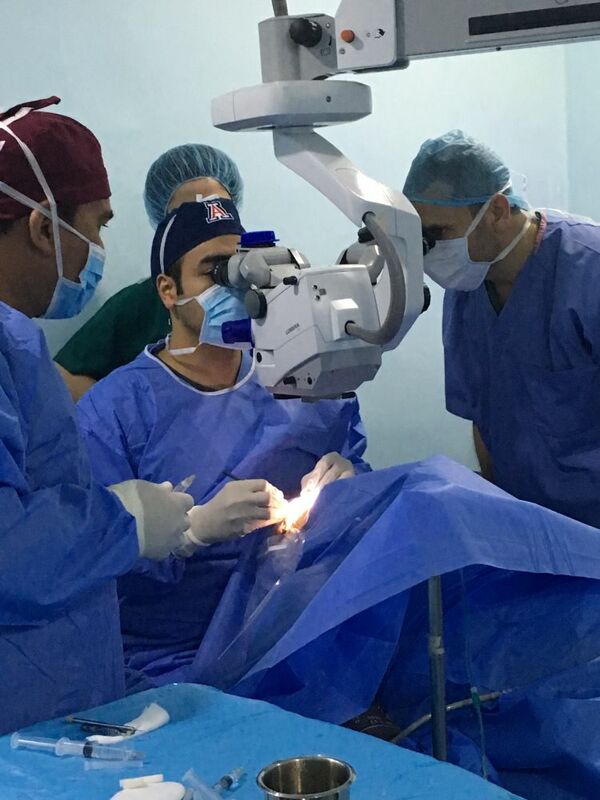 Dr. Behshad performs cataract surgery and other procedures during his trips to Za&apos;atari. He also teaches Syrian doctors so they are better prepared to diagnose and treat patients themselves. "I&apos;ve learned to travel light," Dr. Weil says of treating the refugees. "I can basically fit everything I need for a pediatric eye exam in a backpack." Children are seen everywhere in Za&apos;atari, from young ones playing among the metal shelters to older ones helping support their families. In addition to treating patients, Behshad and Weil use their visits to educate Syrian providers. 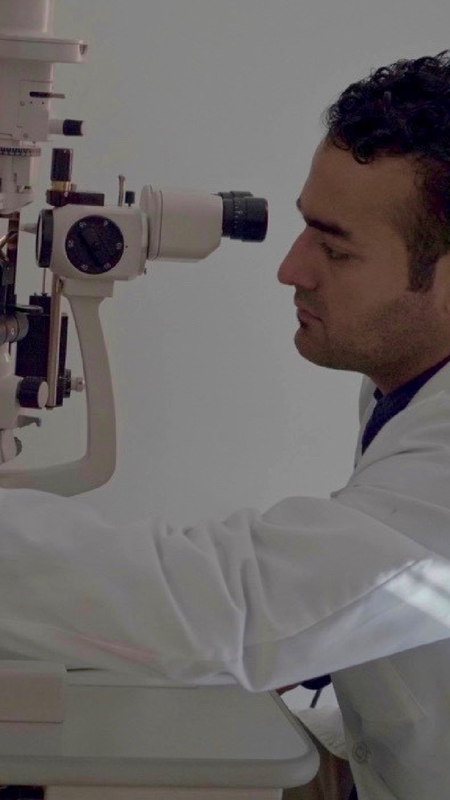 In January 2018 they were able to bring three of the four remaining ophthalmologists out of the Syrian war zone for further education and training. 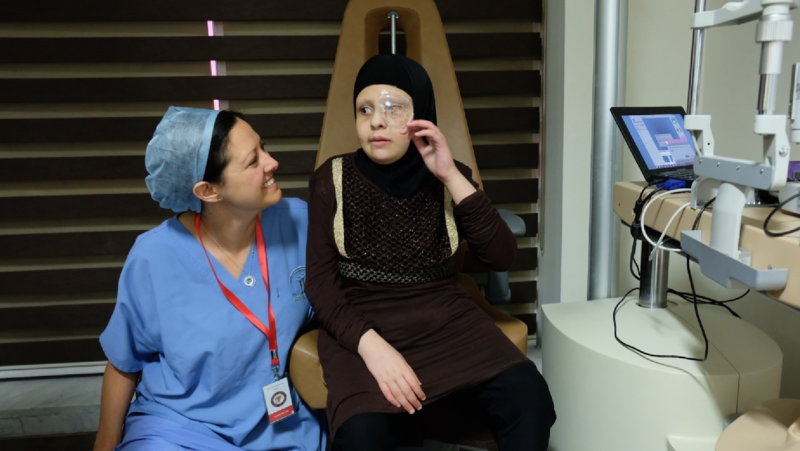 Ophthalmologist Natalie Weil shares a moment with a Syrian teenager the day after her bilateral cataract surgery. Dr. Behshad conducts an eye exam on a Syrian woman. 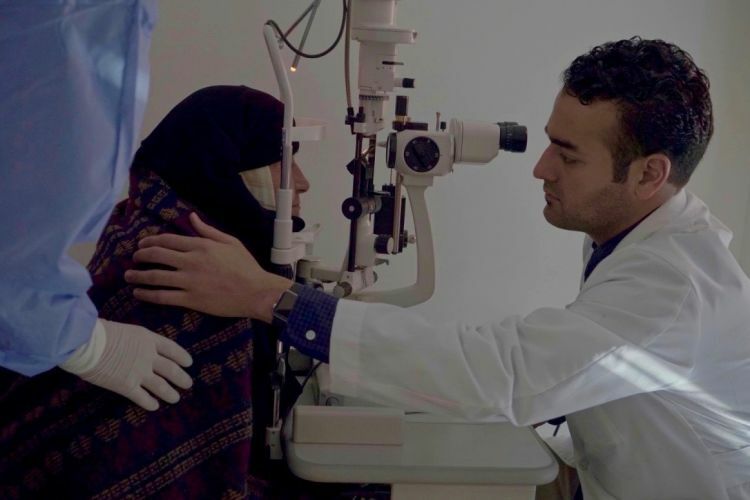 He and Dr. Weil have provided eye exams or surgery for almost 10% of the Za&apos;atari refugees to date. 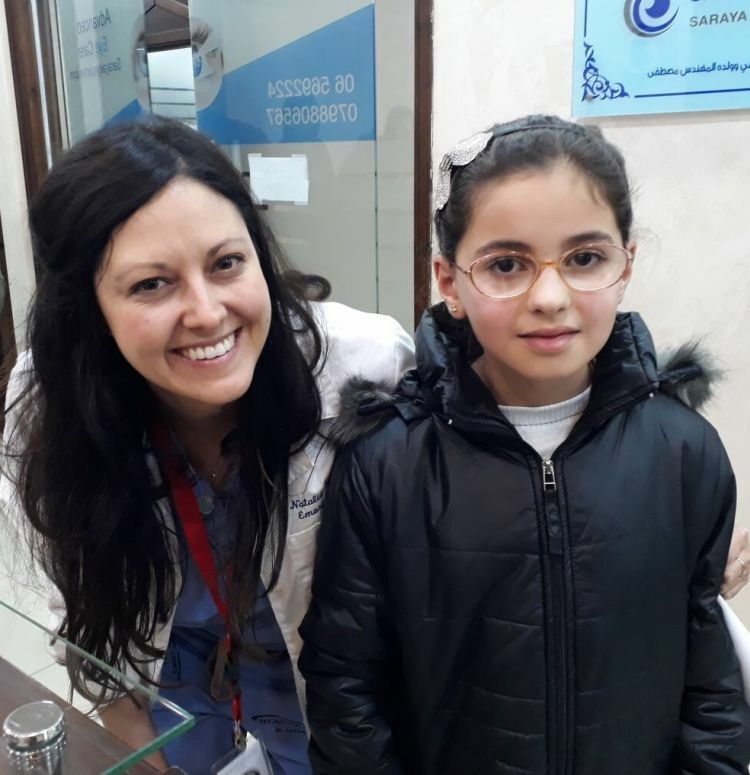 A Syrian girl has her vision checked by Dr. Behshad. Many of the refugee children have never had the opportunity to get an eye exam. 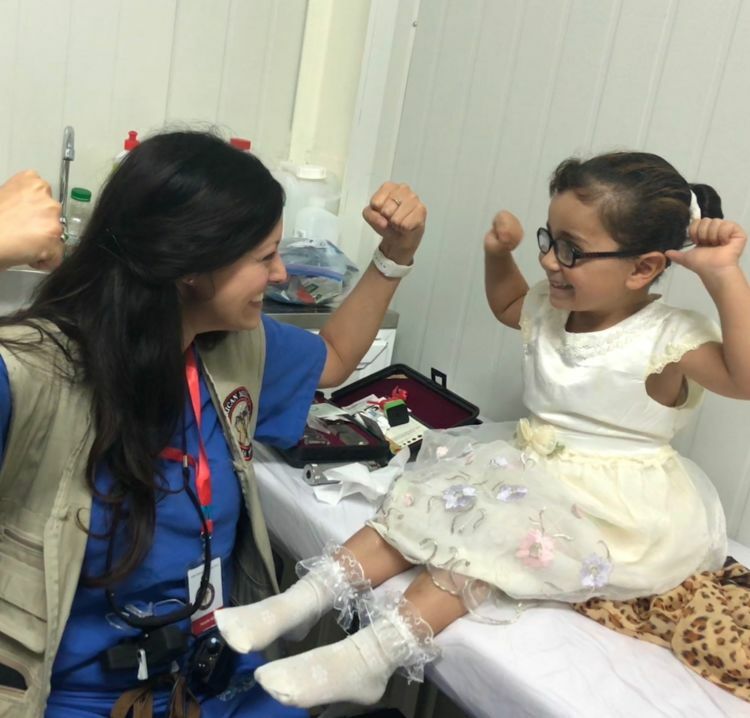 Dr. Weil works with Patch Pals to provide refugee children with the eye patches they may need after surgery or to help treat amblyopia or strabismus. Dr. Weil reassures one of her pediatric patients (and his grandfather) before surgery to treat a congenital nerve palsy. Success! Dr. Weil celebrates with a patient following a vision exam. "They are all so grateful for any care we can give them," she says. Success! Dr. Weil celebrates with a patient following a vision exam. "They are all so grateful for any care we can give them," Dr. Weil says. Many adult refugees that Dr. Behshad and Dr. Weil treat have experienced years of vision loss due to cataracts. Most are all smiles after their surgery. The numbers of people needing care are staggering. Za’atari, the largest Syrian refugee camp, is home to more than 80,000 refugees, more than half of whom are children. The camp stretches over three square miles of desert and qualifies as the fourth largest city in Jordan. 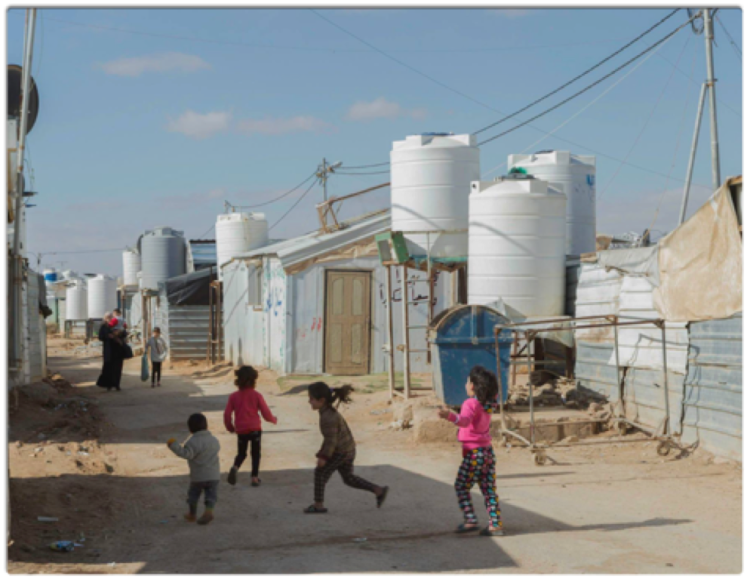 It is gradually evolving into a permanent settlement, with residents moving from living in tents to shelters made from corrugated metal containers. 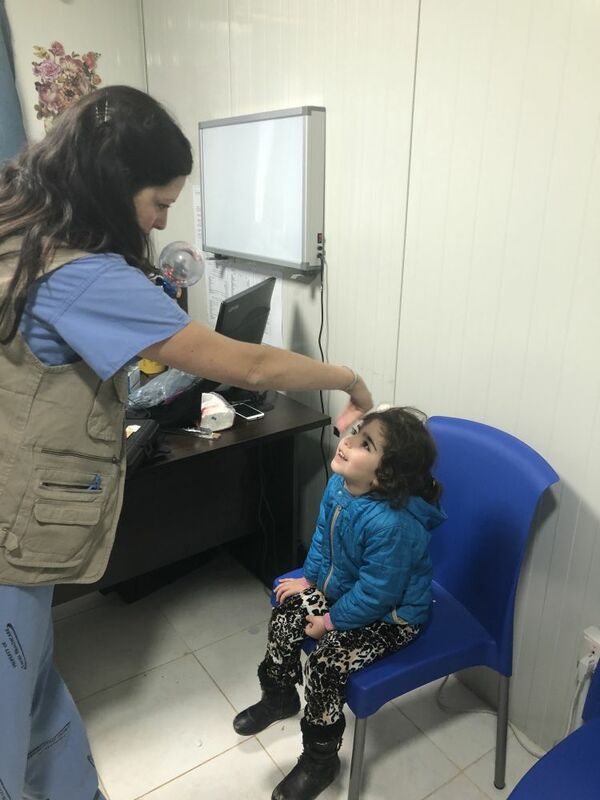 Behshad and Weil have traveled to Za’atari several times and have provided eye exams or surgery for almost 10% of refugees in the camp. While there, they work closely with other international nonprofit groups, including Doctors Without Borders/Medecins Sans Frontieres and UNHCR (the U.N. Refugee Agency), who refer patients to the EMORY/SAMS team for surgical care. The Emory team established a network of local doctors to ensure all patients are followed by an ophthalmologist after their surgeries. 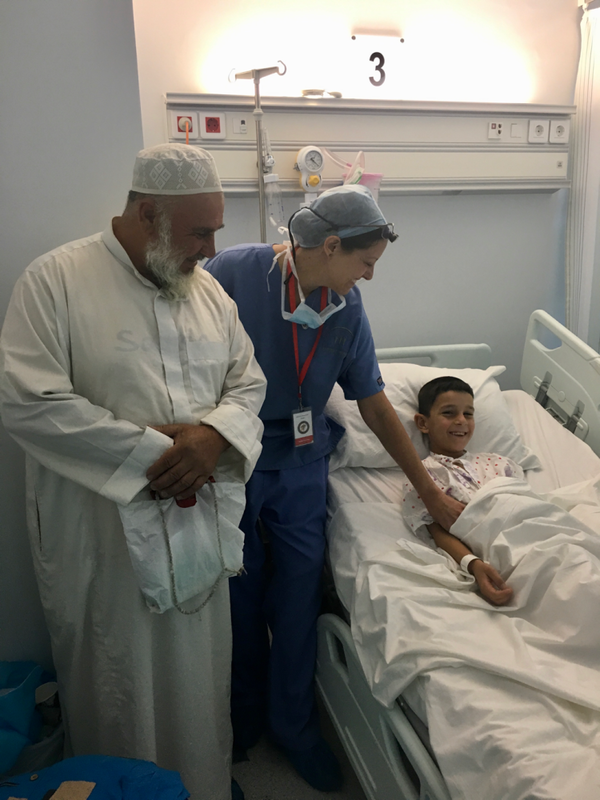 When in Jordan, Behshad and Weil see hundreds of patients each day over a week-long period and perform 20 to 30 eye surgeries per day. Their biggest reward comes from seeing what a life-changing difference care can make for some patients. Behshad tells the story of Hajjeh, a mother displaced by the Syrian war who relocated to Za’atari to keep her family safe. Vision screenings have led to the diagnosis and treatment of conditions ranging from nearsightedness to inherited retinal dystrophies. Examples such as Bushra and Hajjeh compel Behshad and Weil to continue working for—and with—the refugees. Za’atari covers three square miles of Jordanian desert. 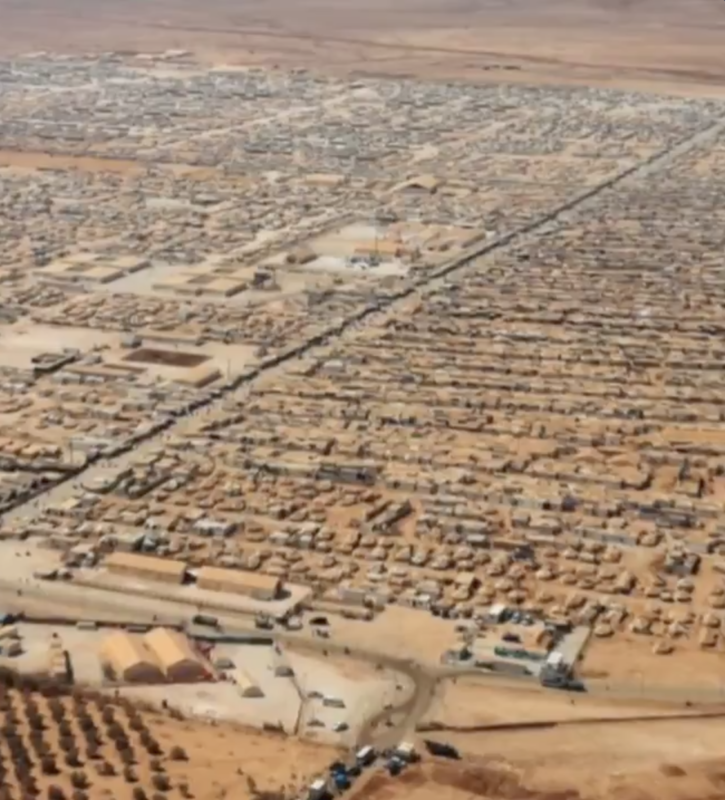 With more than 80,000 Syrian refugees living there, the camp qualifies as the fourth largest city in Jordan. More than half of the people living in Za’atari are children. Many of them were born in the camp or are too young to remember their homes in Syria. 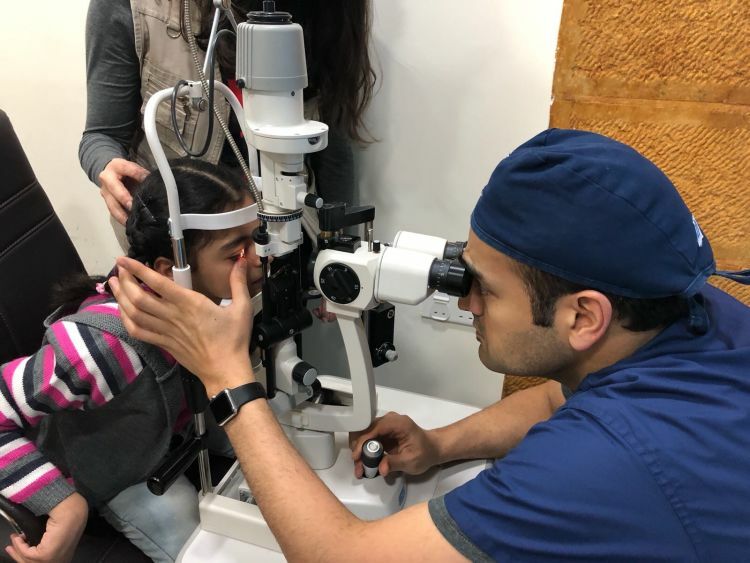 Refugees of all ages are thankful for the vision care they receive from Dr. Behshad and Dr. Weil, and Emory&apos;s support that makes it possible. Please visit Emory Eye Center, Emory Healthcare, Emory News Center, and Emory University.